Only the defeat of your enemies will bring honor to your clan and if taking rusted armour off the bodies of defeated humans helps you do so, that is fine by you. 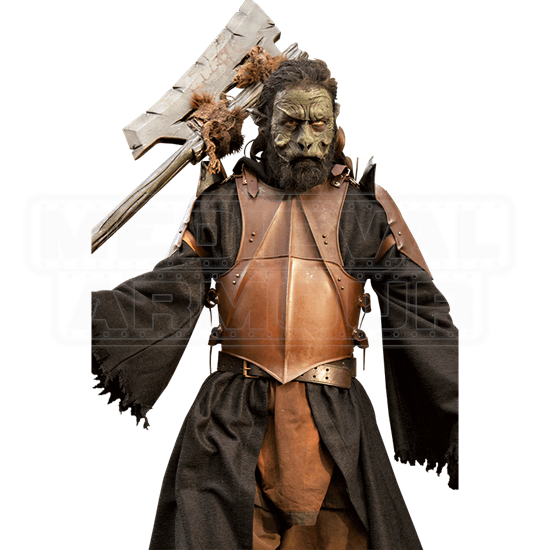 The Ork Armour Set - Rust Patina is perfect for any savage orc fighter! 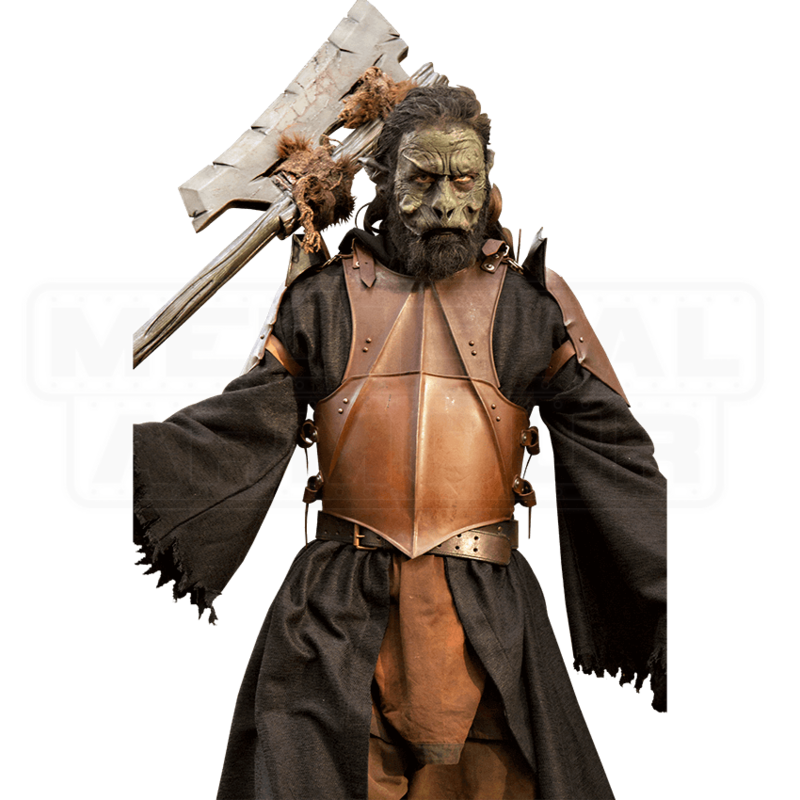 Though it can be worn in conjunction with any LARPers style, this set of 19 gauge steel armour looks incredible when paired with Orcish characters, thanks to its rust-colored patina finish. The armour set includes a steel and leather cuirass, spaulders, and greaves. The spaulders flair into tri-tipped sword breakers at the top, keeping your neck safe from errant sword blows. Buckled leather straps secure the pieces of armour to your body, while two more buckled straps attach the spaulders to the cuirass. Bring your orc costume to life while LARPing or cosplaying with this incredible set of armour!